Can You Make a Container Garden Out of This? Yes! Last year my friend Eydie said she was done with weeding because she was growing her vegetables in a kiddie-pool garden. “Easy watering and no weeding!” she said, and eagerly planted a soil-filled plastic kiddie pool with lettuce, chard, tomatoes and zucchini. A few months later she reported that everything except the squash prospered, and like thousands of other gardeners using wading pools to grow veggies and herbs, she didn’t pull a single weed. The past five years have seen a steady increase in the number of gardeners using wading pools to create growing spaces in parking lots, on rooftops, and in space-squeezed yards. The method was pioneered by Dr. Job Ebenezer, president of the nonprofit organization Technology for the Poor, as an inexpensive way for anyone to grow vegetables and herbs. If you have a level spot that receives at least six hours of sun each day, you have a great place for a wading-pool garden. The only modifications the pool needs are six or more drainage holes drilled around the base, about two inches above the bottom of the pool. When heavy thunderstorms flood the pool, the drainage holes will keep the plants from drowning. 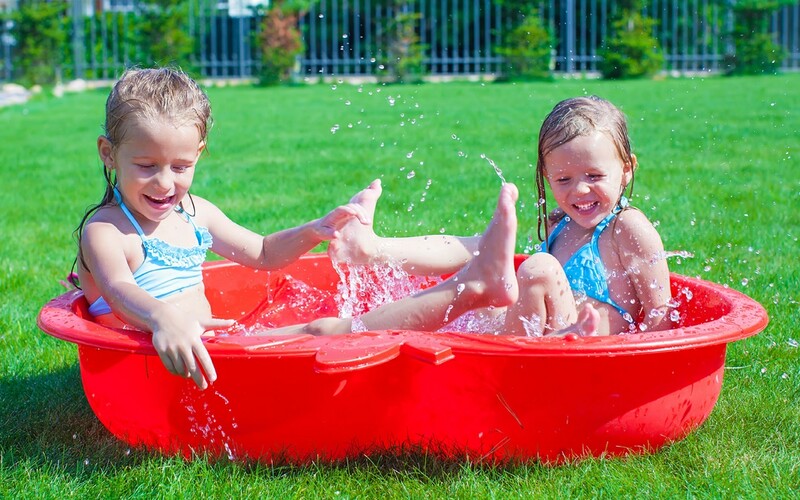 Opt for the old-fashioned hard plastic pools rather than the blow-up plastic variety that can contain nasty chemicals. Place the prepared pool in its permanent location before you fill it with soil or plants because it will get heavy! If you would rather use containers placed inside the pool, you should have room for five to six large pots, or you can use soil-filled cloth shopping bags as plant containers, arranged a few inches apart in the wading pool. Soft-sided cloth containers never shatter, save on weight, and are pleasing to plants that like a little oxygen around their roots, such as peas and potatoes. In a wading-pool garden the root zone is aboveground, so plants’ roots get warmer than they would if the plants were growing in the ground. This is good news to plants that like warm conditions, including tomatoes, peppers, eggplant, basil and beans. Cucumbers are often phenomenal producers when grown in a wading pool garden, and you can grow a summer’s supply of kitchen herbs in a one wading pool. As the seasons change, new plants can be tucked in to replace old ones that are ready for the compost pile. But what interests me most is the absence of weeds. 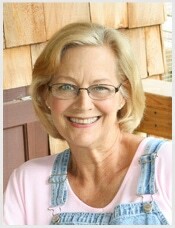 Three times in the past, I have given up on growing strawberries because of aggravation from weeds. With help from a kiddie-pool garden, I’m ready for another try.